Harbor Way Airport Transportation provides 24/7 professional & exclusive airport transportation services throughout San Diego. We assure San Diegans and our guests visiting this fine city of quality and affordable rides. You can count on Harbor Way Airport Transportation to provide excellent service and some of the lowest rates around. Harbor Way Airport Transportation provides services to and from the San Diego International Airport and most major destinations. 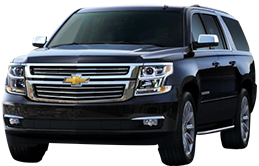 In addition to providing excellent airport taxi service to and from the San Diego Airport, we also offer transportation to and from the San Diego cruise terminal, business meetings, shopping, night out, private events, door to door, sports events, weddings, city exploration and group transportation. If you or someone you know needs San Diego airport transportation or taxi services in San Diego, you can rely on Harbor Way Airport transportation for low rates and reliable service. Furthermore, our clients who are in need of a San Diego Downtown taxi can count on us to deliver timely and professional services. Harbor Way Airport Transportation accepts advance Reservations as well as last minute calls 24 hours a day. SUV Services will have an additional charge of $20.00.